I know from experience that it is hard to find a good massage. There are many reasons why people look for a massage therapist, you’re from out of town, never had a massage, doctor recommended, your therapist moved away or whatever that reason is it can be stressful. This policy has been set up to take some of that stress out of finding the right massage for you. (Note: These massages are non-sexual and fully draped, for both men and women). How this works, if you are a first time visitor to Massage by Wil and you feel like the massage was unsatisfactory, that you did not get the quality massage you expected, you pay nothing for your massage. For all return clients of Massage by Wil, if you ever feel you don’t receive the quality massage that you expect by Wil, you pay nothing for your massage. As for myself, I evaluate each massage I give, if a massage I give feels like it fell below my quality expectation, even if it met the client’s expectation, I will give the client a gift certificate to be used at a later time. All of my massages are 100% guaranteed! Energy healing sessions are 100% guaranteed! 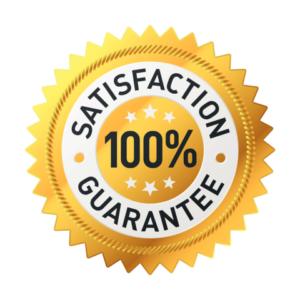 How many people do you know that provide a health and wellness service and offers a 100% satisfaction guarantee on their services? I’ve been given a gift and developed skills to provide a valuable service to assist people and pets towards feeling balance and harmony in their life. It is my intention to allow anyone wanting to try energy healing to do so. Since energy healing may work on some and it might not work on others, that’s why the guarantee is in place. For those who feel the benefits, let’s move forward. For those who feel no benefits, redeem the guarantee, I wish you the best as you continue your search for something that will work. Here’s how it works, if you feel no shift within yourself or see no change in your pet, either physically, emotionally or energetically within 7 days after the session, you can ask for a 100% refund. You can take up to14 days to redeem your refund after your session.